I shared an article about the Korean-Mexican burrito, KORRITO that gave me warmth and comfort. 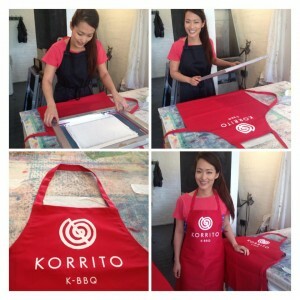 This time, I talked with Joo, the founder of KORRITO. She talked about her mission to share the aspects of Korean food through her food business and her upcoming documentary. How and why did you start ‘Korrito’? Joo: Having moved to the UK aged 3, I recall having to point out Korea on a map on my first day at school, wearing my traditional Korean dress to show-and-tell sessions and the envy of my friends when I opened up my Korean packed lunches! I have these early memories of promoting Korea and now in my adulthood, against the backdrop of the rise in awareness of Korean brands and culture, I was really inspired to do something to further the ‘Korean wave’ and help promote its cuisine to the UK audience. I wasn’t always involved in food; in fact, I did the traditional Korean thing of listening to my parents. So off I went to Oxford University and stepped straight into a job in investment banking. It took me a few years to build up the courage to leave and do something that I am truly passionate about. 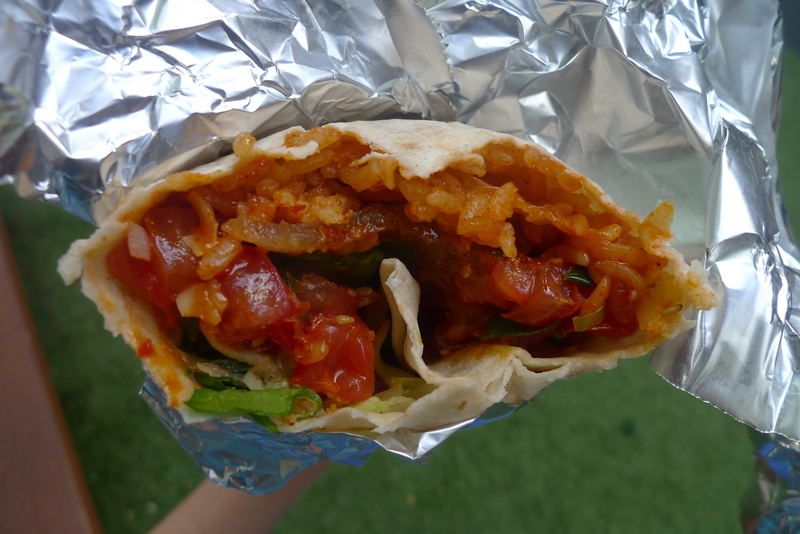 Joo: ‘KORRITO’ is an amalgamation of the words “Korean” and “Burrito” and has its root in Los Angeles, which is where the inspiration for my business came. If you go to downtown LA, Korea Town meets Mexico Town and it was only a matter of time before the two foods came together, producing a mouth-watering and mind-blowing explosion of flavours! 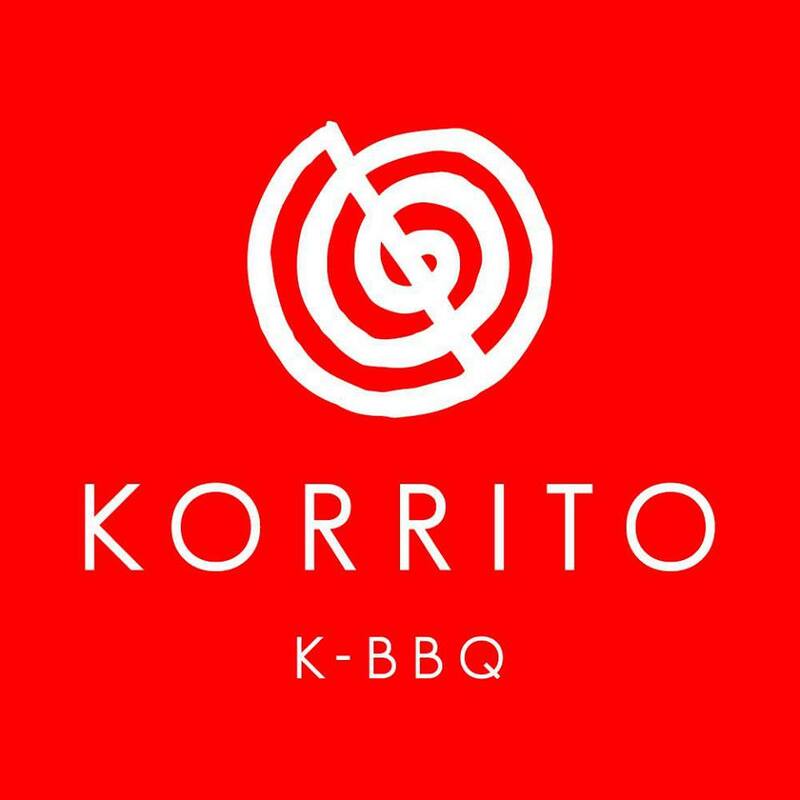 For me, the word ‘Korrito’ has a deeper meaning though. LA was once a city marred by race riots but has now come together, boasting a rich cultural diversity and a unity through the love of good food. What is unique about the food from ‘KORRITO’? Joo: The uniqueness of Korrito is the mix of very authentic recipes with a modern and engaging way of presenting the food. Our meat marinades, our recipe for Kimchi, and even the homebrew soy sauce are all recipes my mother has shared with me and no doubt has also been passed onto her by her mother. It has it roots in the generations way before my time. We use very authentic ingredients and recipes but throw in exciting and modern elements to it, such as cheese and burrito wraps. Presenting the food in a vibrant and fun way is essentially what makes us unique. How were the customers’ responses on the food? Joo: From day one of our launch, the comments and feedback have been incredibly positive. If anything, it has gone to validate my own thinking around the appeal of Korean food and has confirmed it has what it takes to become the next big food trend. I think it’s fantastic the amount of positive comments we get on social media and face to face at the market. I know we haven’t been operating for very long but we’ve even had people say that we are the best street food stall out there! That is incredibly humbling and makes my job worthwhile. Did you receive any requests from customers about what food and drink they want in the menu? Joo: We actually had requests for individual pots of homemade Kimchi to be sold on the side. I was quite conservative in my thinking that I should introduce Kimchi to the UK masses subtly by frying it with our rice. I clearly underestimated the UK love for Kimchi in its purest and most pungent form! 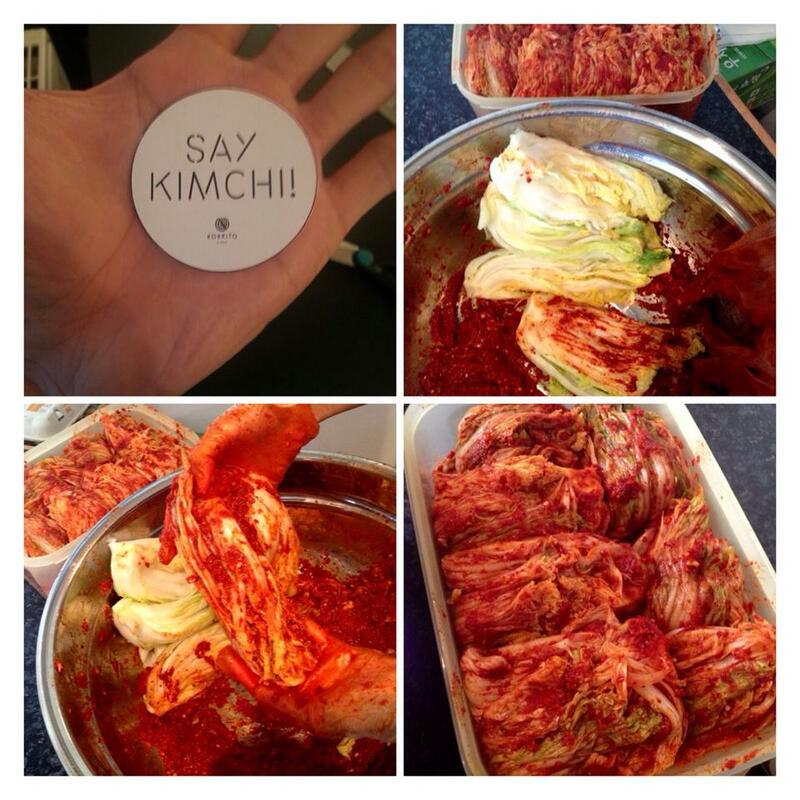 It amazes me how people approach our stall and buy three to four pots of Kimchi at a time and happily munch on just Kimchi alone! I spoke about having to point out Korea on a map back in the 90s as a child- it’s gone from people not even knowing where Korea is to now people knowing all about Kimchi and wanting to buy pots of it! We also had requests for drinks and I have used this as another opportunity to help promote Korea, its brands and trends. 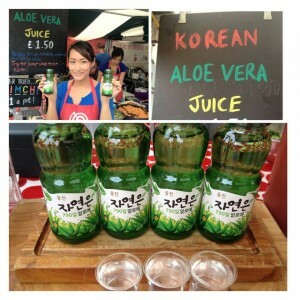 We recently have added Aloe Vera and pear juice to our menu. In the case of Aloe Vera juice, a Korean company dominates the market share currently and in my mind, it is a product and trend that has become synonymous with Korea. It’s quirky but appealing, with health benefits but equally delicious. The feedback has been great and the juices have been selling fast! 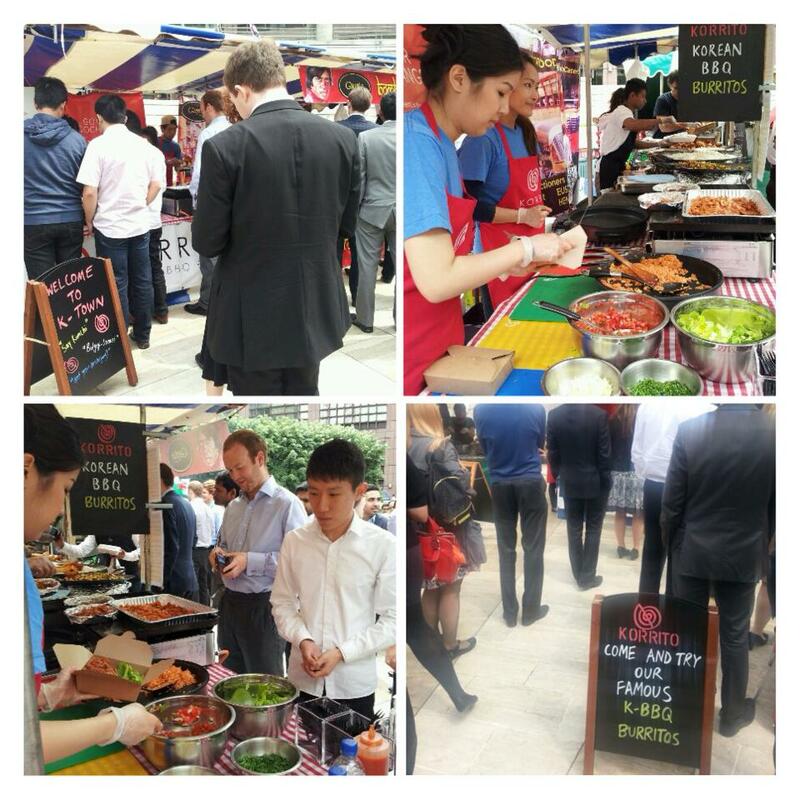 As London is a multi-cultural city, how did you try to meet the customers’ tastes? Joo: When I devised the Korrito menu, I made sure that people could choose a number of combinations to meet their tastes and wants. So, we have three different kinds of meat, three different levels of spice, two different kinds of rice, salad, tomatoes and four toppings, which they can all pick and choose from to create an individual dish according to taste. At first I was mindful to really cater for those who didn’t want spice. However, I have been pleasantly surprised by people requesting more spice! That’s why we’ve also added freshly chopped red chillies as one of our toppings. The fact that London is a multicultural city, I think, lends itself to the fact that people are more adventurous about food. They are willing to try different things and push themselves to try a variety of flavours. Will there be any new food to the menu? Joo: On top of the changes and tweaks we have made recently, we are starting to look at more vegetarian ingredients. Our current vegetarian option is the burrito wrap or rice boxes with fresh tomato salsa, lettuce, cheese, toppings and sauces. Our customers have told me it’s incredibly tasty but I want to explore whether it fits our current brand proposition to add something more dynamic, such as marinated tofu, mushrooms, and aubergines. In terms of being a Korean BBQ stall, people assume we’re purely about the meat but I am playing around with new ideas in my head for a new veggie addition. Will you continue to have a stall or having your own restaurant in the near future? Joo: In an ideal situation, I would like to run both. 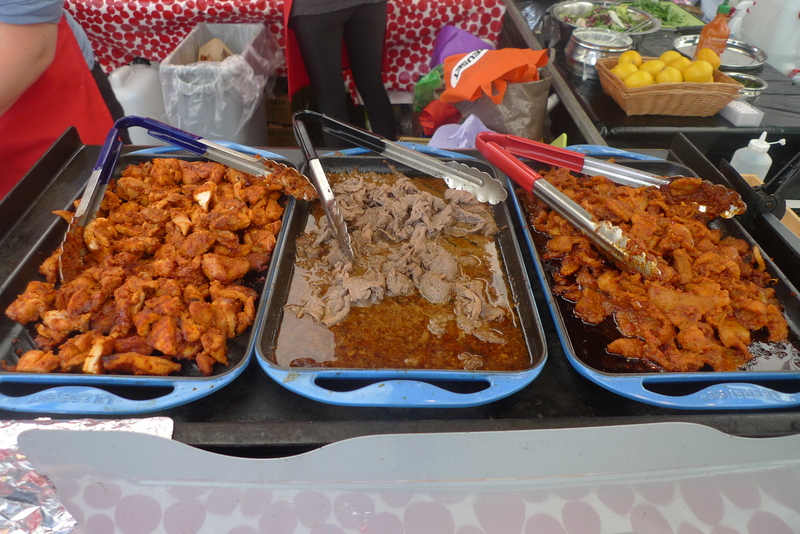 Many people start out in the street food scene, run a stall in the market, then build up to open a store. For me, the beauty of the street food market is the fact you get to have one-to-one interaction with the customers which you might necessary get in the restaurants. Customers go to an outdoor street market for the experience of being able to talk to the producers, find out about the ingredients, sample different things. As a trader, I value this interaction more than the convenience of a restaurant under a roof. For me, it’s incredibly important to be involved in the market scene for this purpose. There is so much to learn about your brand, your food and your customers from operating market stalls. For first timers to try the ‘KORRITO’, what would you recommend? Joo: I would definitely recommend our most popular item, the spicy and sweet pork belly with Kimchi fried rice. The pork marinade is a recipe I have used for years, which my mother taught me. It was my go-to dish at the numerous dinner parties I threw with my school and Uni friends. They would always say, “This is so good. You really need to package this and sell it!” Now, I can look back and think my friends were dead on! Some customers have known to come back and buy a second portion minutes after finishing their first! The pork belly is moderately spicy so appealing to more people but if you want extra spice, you can add a sprinkle of red chillies. What is the purpose of doing the documentary about food in South Korea? 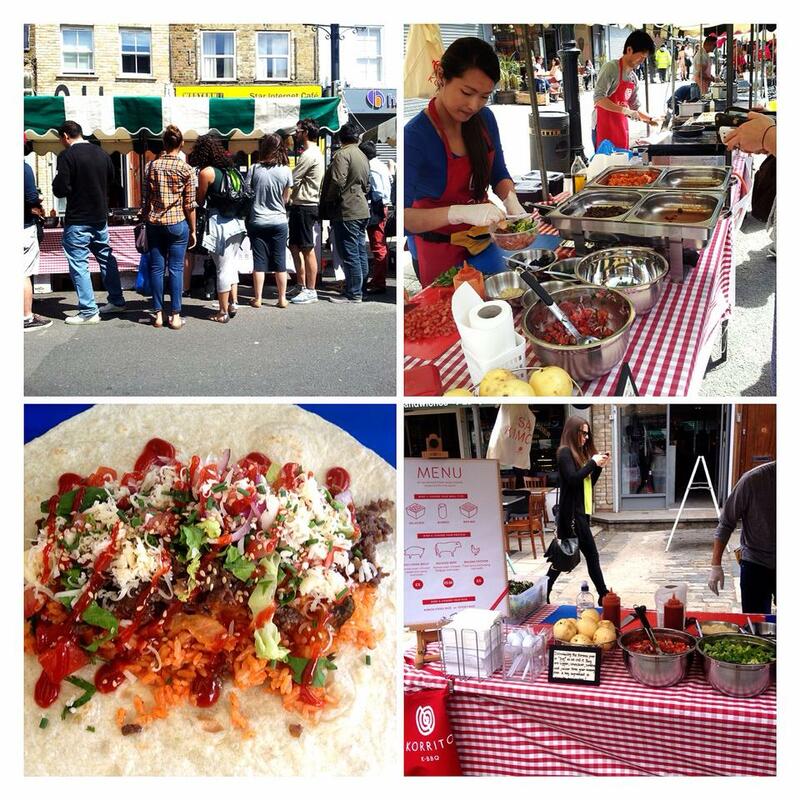 Joo: Running ‘Korrito’ is more than just a business for me, it is about promoting Korean culture and food to the UK and beyond. My business just happens to serve that ultimate goal. The whole inspiration for the documentary is very spiritual for me and I am doing it to not only explore my roots but to promote Korea more widely. It’s going to focus around the traditional history and cultural significance of Korean food. Looking at its roots, how it’s a product of its climate, history, and people, exploring the art of fermentation and pickling, which forms such a huge part of Korean cuisine. Then, we will be looking into the modern and fusion Korean food in Korea. We will be talking with British expats living in Korea, sharing their impressions and thoughts about Korean food. I have an incredibly talented film crew on board for the project, with cinematographer Adam Hobbs directing and filming it. He is incredibly talented and as an American living in Seoul, I am confident he will bring a very fresh perspective to Korean food. Why did you select Adam Hobbs instead of other Korean filmmakers? Joo: I had a long list of potential filmmakers that I could have gone with. Ultimately, my target audience for this documentary is going be an international audience. As a non-Korean, I thought he would be able to invite the viewer on a journey, exploring Korean food from a filmmaking perspective and direct the project in a way that really tells a story. I want the project to be captivating and not just an infomercial about Korean food. If you look at his previous projects, he has a really interesting artistic style, which I think fits perfectly with my vision for the documentary. What are your plans on doing the documentary? Joo: I will be flying out to Korea and spending the month of October filming two episodes. The third will then be filmed back in London, exploring the rise in Korean food on the London street food scene and looking at ‘Korrito’ in action, meeting and talking to a variety of people along the way. Since you have just recently started your business and documentary, what have you learned and experienced so far? Joo: I have learned that starting your own business from scratch is not easy. The best way that you can really overcome the difficulties is to have an amazing support network around you. For me, that has been my friends, family and fiancé, who have all been incredibly supportive. My parents, who have retired, come every weekend to help out! They absolutely love being involved and it’s fantastic how it has come full circle. My mother’s recipes and elements of her cooking methods, that she taught me as a child, have now been translated into a market stall that so many people are enjoying. Any future plans for ‘Korrito’ and yourself? Joo: In terms of ‘KORRITO’, we are looking to expand our network of markets. We are currently looking for weekday pitches to operate from. Something in the City would be great. 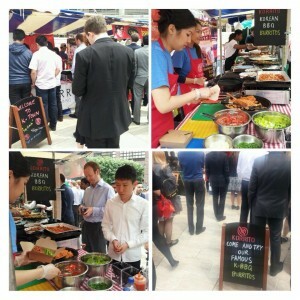 We did a five-day market at Broadgate Circle, which was incredibly popular with the City workers. We had several repeat customers during the week and I promised them we’d be back at some point! In the meantime, I will be heading off to Korea next week to shoot my documentary and hope to have a final cut ready to distribute by the end of the year! Thank you, Joo for taking your time to participate in the interview. Looking forward to the upcoming documentary about Korean food. Follow KORRITO through Facebook and Twitter to see what are their upcoming plans at the end of this year.